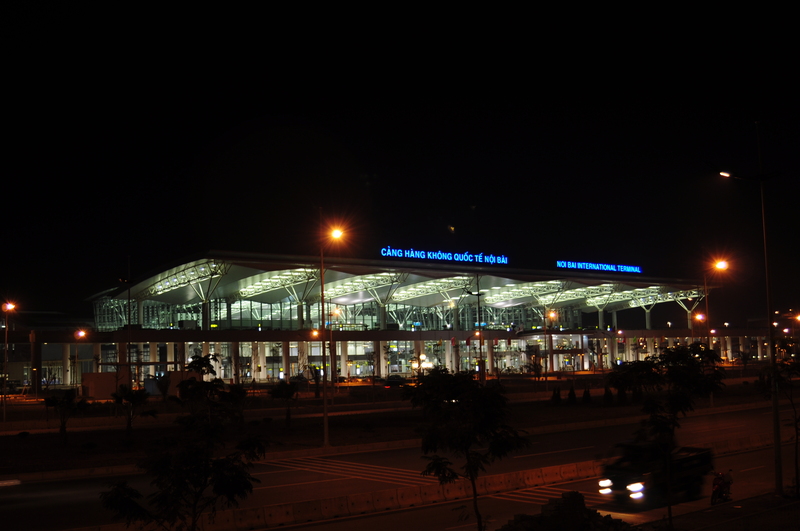 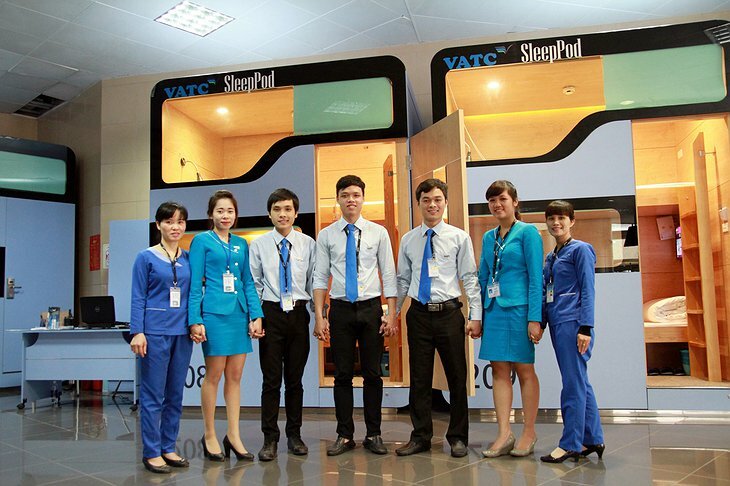 Vietnam Airlines Tourism Company (VATC) is a relatively new venture that is aimed at revolutionizing the aviation and tourism industry. 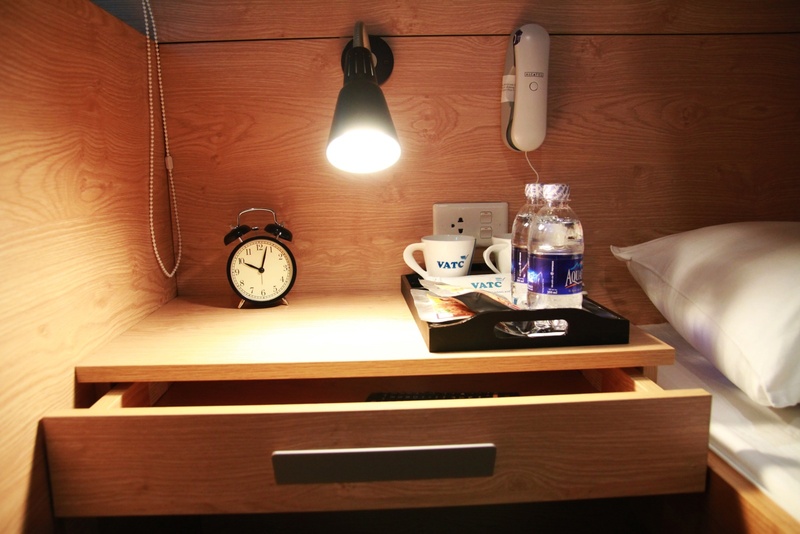 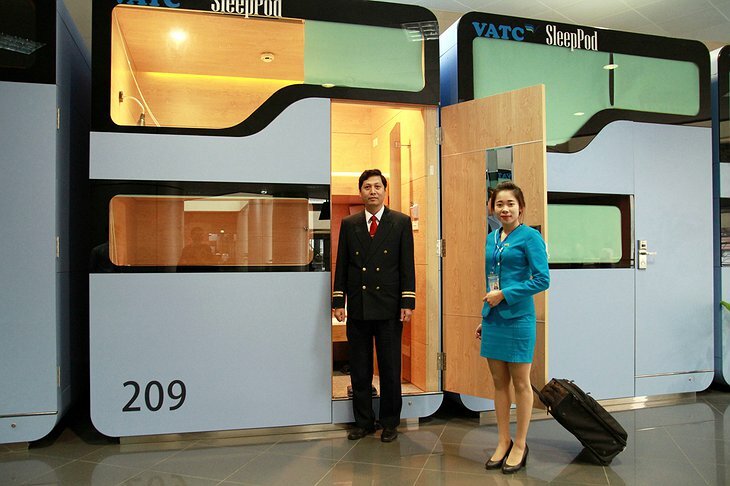 The SleepPod service is a mini-hotel venture in the Noi Bai International Airport. While Vietnam is not the first country to offer SleepPods in its airports, the VATC SleepPods were designed with entertainment and relaxation in mind for customers who have long layovers or just need to catch some zzz’s between flights. 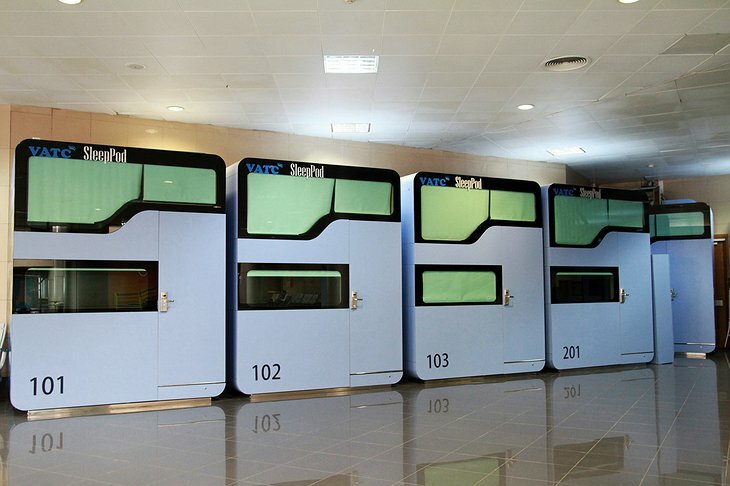 The VATC enterprise offers 14 pods, 11 of which are twin pods. 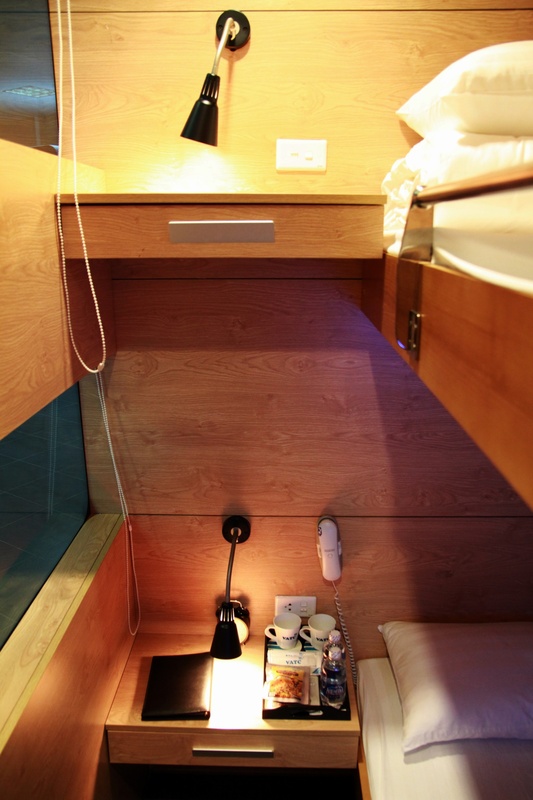 The single pods house a bed, a work desk, and a television. The double pods come with the same amenities but in twice the amount. 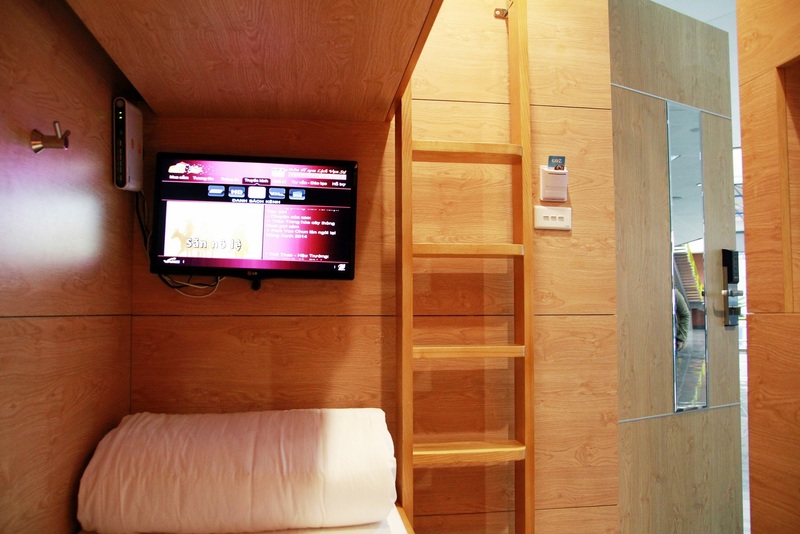 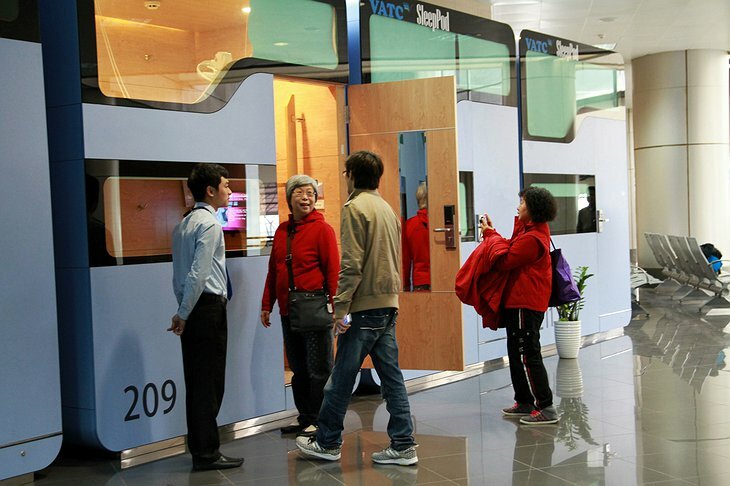 The pods also offer Wi-Fi, an alarm clock, a free drink and snack, and a guidebook to Vietnam for guests.